Does your character like risotto or paella? Before I start writing a new book, I like to do a lot of planning. I write a lot of description of my main characters—what they look like, what their childhood was like, what their hopes and dreams are. But it’s only when I start writing the story that I start to find out more about them. Do they like reading? What kind of books do they enjoy? Would they be the kind of person who owns an ereader, or is it dead trees all the way? The other day I was writing a scene in which the heroine cooked dinner for the hero. In my initial draft I had her cooking risotto, simply because I couldn’t see her cooking a roast lamb, for instance. But when I reread the scene, risotto didn’t seem right, so I changed it to paella. Paella suited her much better, I thought. Paella was spicy, messy, robust. It was her. Now it made no difference to the scene whether she cooked risotto or paella, and the hero would have enjoyed whatever she made, but it made a difference to me. It’s this level of detail I wouldn’t have thought of in my initial planning. Only when I came to write the scene did I realise that she was a paella girl. By writing the first draft I discover so much more about my characters, their motivations, and their conflicts. The characters, who before were just a list of words in my plan, become real people. 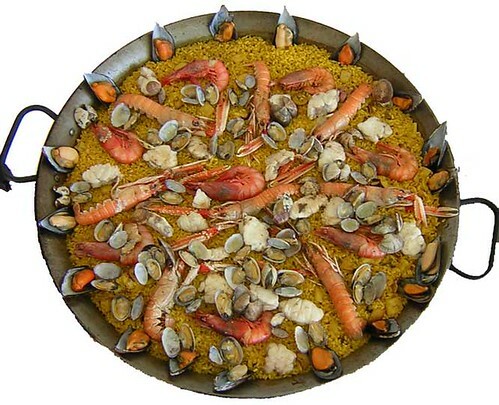 My first draft is messy, laden with clichés and mistakes, missing important scenes, lacking the right pace, but it’s also where my characters start to breathe and (hopefully) behave like real people, even to the point of preferring paella over risotto. You write rather like I do. Messy rough draft with scenes sometimes a single sentence like They make love or There's a fight here. Look up swords. Yes, I have scenes like that too. I can't edit as I go because that just messes with my head. Have to get it all down before I go back and fill in the holes. Ah, yes, rewriting can be hard when that messy first draft is stuck in our heads. But I'm getting more comfortable with the process. Sometimes I get to the final page of the first draft and realise the entire story needs to be scrapped!